Vornamen + Wunschfiguren für die Herzanhänger? 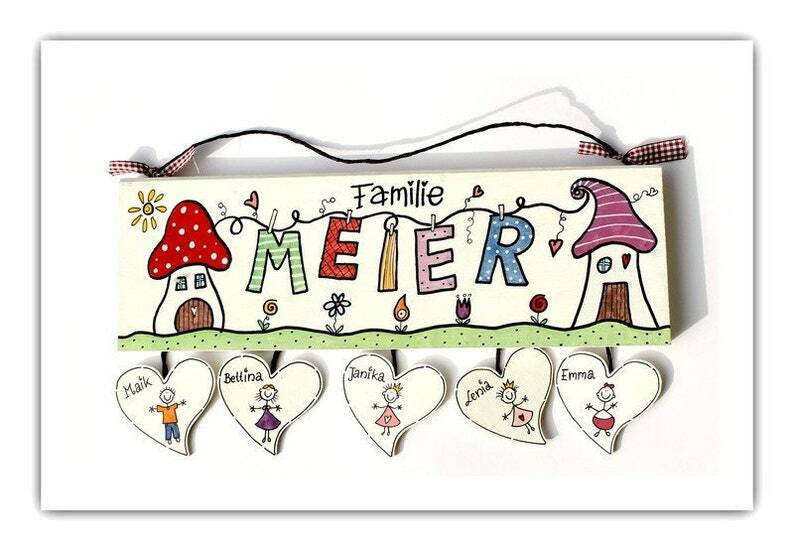 Door Sign Wood (Spruce 18 mm) with name tag of the family members in the shape of a tree. The letters of the family name are "hung" on a clothesline. A maximum of 6 heart pendants can be mounted next to each other! Selection tables can be found in the product photos!! We would also like to bring * * "wildcards" * * If the family planning is not yet complete. Of course, individual hearts can also be ordered later. To be found in our shop department "accessories". The paint/lettering is provided with high-quality clear lacquer (Matt) and is therefore best protected against atmospheric influences. This motif is also available on slate (see other offers in the shop)!